Be creative! We have designed and printed custom pieces for a variety of causes. items we have produced at Conolly Printing. Let us know what your next event requires. 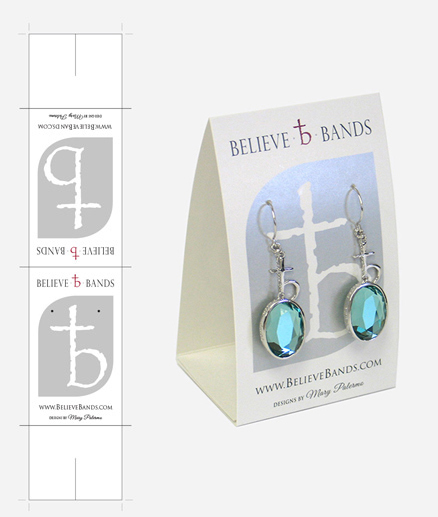 Featured: Conolly Printing designed and printed this custom earring display for Believe Bands by Mary Palermo. Look for Believe Bands in Rochester, NY at Parkleigh, Kittlebergers, The Glue Factory, Furnari Jewelers and also at Heels and Hobos in Corning, NY!